Establishing an e-commerce store to increase sales is one of the common hurdles faced by retailers today. Having an online presence today is fast becoming a critical success factor for businesses world over. This article explains Magento, an e-commerce platform, covering its features and details on how brick and mortar retailers can benefit from it. The US Ecommerce market is booming with over $78.1 billion made in sales in 3Q 2014. Many brick and mortar stores are realizing the importance of having an online presence and developing an e-store. One of the most important steps is to first find out the ideal solution that fits your business. A strong contender for developing an eCommerce store is Magento, a versatile enterprise open source platform that aims to handle all aspects of building and maintaining an online store for small, medium and large enterprises. 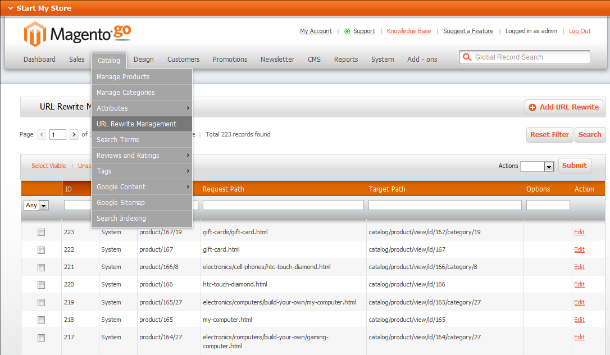 With its robust set of features and flexibility to customize Magento, it is by far a favorite in the industry. Retailers can have full control over their store content, look and functionality. Not only small businesses but also the likes of Lenovo, 3M, Nokia, Fox, Olympus, The North Face, Samsung, Myla London and Visio have trusted Magento development for their enterprise ecommerce stores. It is a feature-rich ecommerce platform solution that offers merchants complete flexibility and control over the functionality of its online channel. 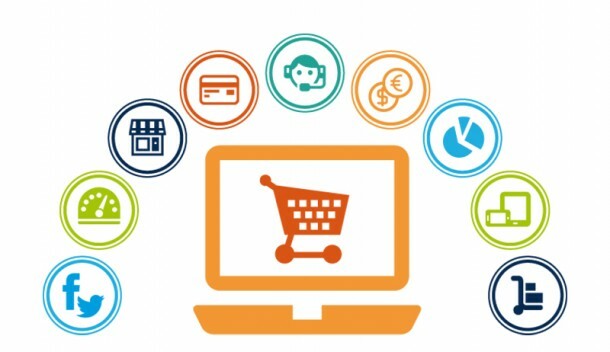 Magento empowers retailers by the ability to create online stores that provide an unmatched shopping experience to its customers and have added features like catalog management, search engine optimization and powerful marketing tools. The flexible catalog system includes various options to display items, while products can also be imported and exported for batch updates offline. Magento’s also offers core API integration via web services with your existing back-office systems to simplify management of your online channel. It automatically detects mobile browsers and delivers mobile-optimized version of your online store by providing either the full site catalog or a smaller selection of products tailored for the mobile users. Magento seamlessly integrates with various popular payment gateways such as PayPal, Amazon and Google. Integration with multiple payment gateway enables your customer to make use of alternate payment methods. You can even hire Magento developer & ask them to integrate payment features like check/money order, or purchase order through Magento Connect extension to process additional payment extensions. Magento’s flexible pricing rules enable the efficient creation of a variety of promotions to increase conversion rates. It is coupled with many powerful marketing tools like Up-Sells, Cross-Sells, and more to increase Average Order Value. Its powerful Marketing Tools provide ease-of-use to increase your online sales. Magento’s included reporting suite provides visibility into the store performance to enable actionable changes to react to your customer’s needs. It also integrates seamlessly with Google Analytics and Website Optimizer by out of the box features to deliver further insights on store performance. 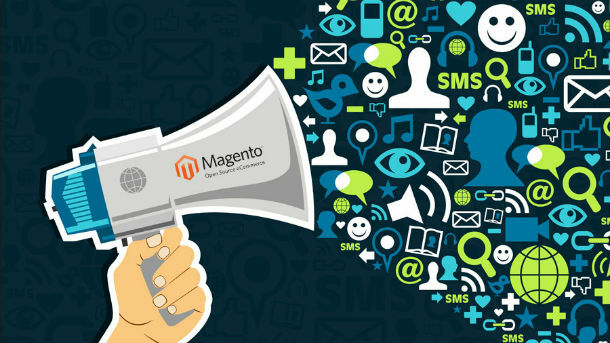 Why Choose Magento Development for Your Ecommerce Store? 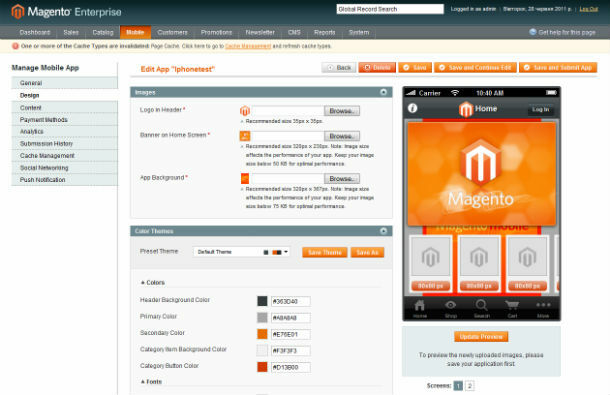 Magento had over 750,000+ downloads including 10,000 downloads within the 15 days of its release. The 2014 IR Top 500 Guide has been released and Magento has overtaken Demandware to join Oracle and IBM as the top three providers to the top 500 internet retailers in the US and Canada. Magento has 34 merchants on the latest edition of the IR Top 500 list, doubling the number of merchants from the 2013 list. Magento clients include marquee brands like COACH and fast-growing brands and retailers like Alex and Ani, Zumiez, and Signature Hardware. Almost 1 in every 4 businesses choose custom Magento development as their preferred eCommerce solution, accounting for more than $25 billion in transaction volume each year. Are you looking for a technology company to help develop a Magento eCommerce website for your business?